Two Reasons Why You Will Never Make It With Social Selling! In this article Gary gives a great view on how to sell in 2018. 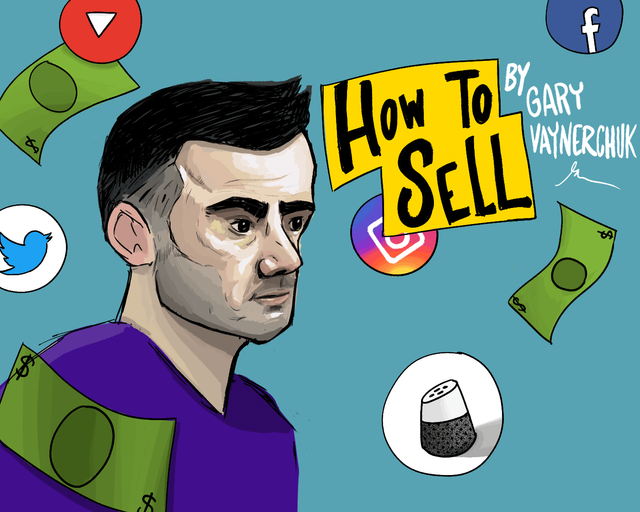 I don't agree with all of it, for example, just firing inmails to people, unless you are Gary Vee won't work for the average person. As a customer recently said to us, we sent out 250 inmails and got zero return. Of course they got zero return, they looked like spammers. An inmail is basically a "cold call" over a social network. 1. You are lazy. How many times do I need to tell you, you need a half decent, LinkedIn profile. How long you been on LinkedIn? And you still don't have one, so block out your diary, turn the phone off and spend half a day on it. Then two weeks later do the same again. 2. You still cling onto what you have always done. We all know the world has changed, the internet, mobile all of these things have changed the way WE buy and the way WE work. You no longer ring somebody up and ask for a brochure to be sent through the post and it arrives 3 days later. we all go to the internet and seek information instantly. And so do your customers. You have read this, agreed with me and then you won't do anything. Your LinkedIn profile will still be rubbish and you will still think the old ways are the best. #1 Laziness. There’s a lot of shortcomings when sales are automated. In most businesses, it’s a high-touch 1-1 conversation where you are attempting to bring value to the other person. It’s not a LinkedIn messenger bot that is going to do the trick.